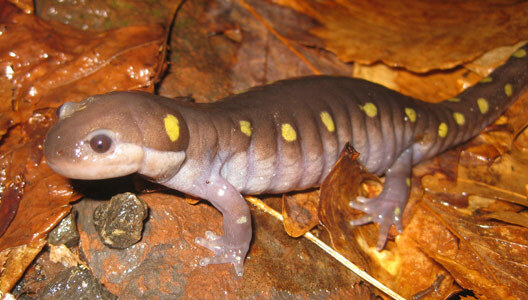 Brian Clough organized a salamandering trip, as New Jersey's weather had warmed up and it had been raining. Brian, his girlfriend Amy, Dimi and I met at about 6 p.m. and started checking pools immediately. 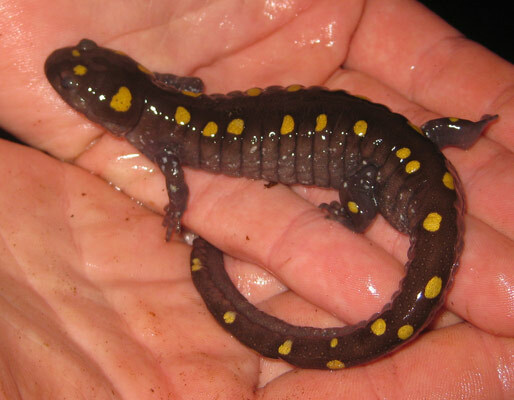 It wasn't long before Amy found the first Spotted Salamander of the night. 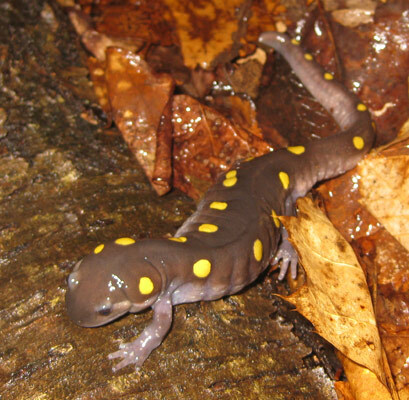 We saw a good movement of Spotted Salamanders, eventually counting about 40 individuals. 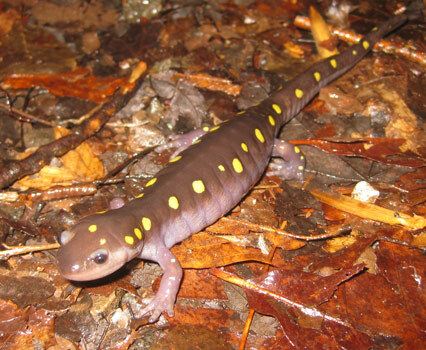 At first, we only saw them in the vernal pools, but later found quite a few walking on land. The only other species of salamander we saw was one Redbacked Salamander under a rock. We also saw a few Wood Frogs, although none were vocalizing. 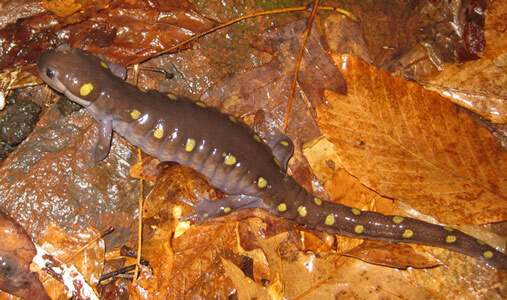 Pictures from the night are below, and many other Spotted Salamander pictures are at this page.